The other Shenzhen company on the list, Tencent, ranked 7th in profitability according to the report. The oil and gas company Sinopec Group topped the list with revenue of 2.36 trillion (US$356 billion), and was followed by China National Petroleum Corp. and China State Construction Engineering Corp. Among the top 10 enterprises, eight enterprises are State-owned enterprises (SOEs) directly under the State-owned Assets Supervision and Administration Commission of the State Council, China’s Cabinet. Ping An Group ranked No. 1 among non-SOEs. 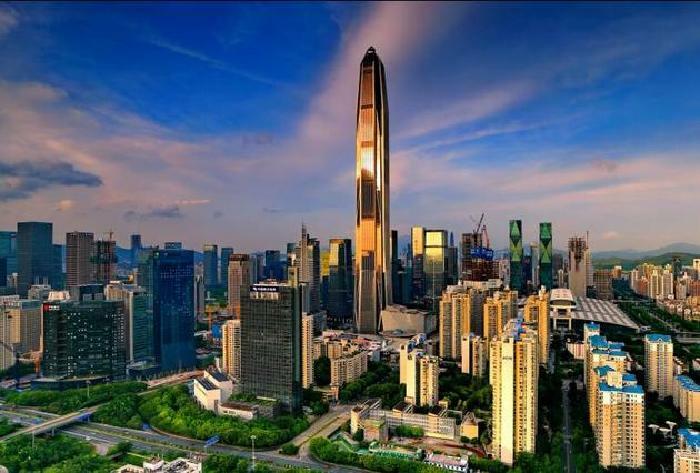 The revenue of the 500 enterprises reached 39.65 trillion yuan, an increase of 18.22 percent over the previous year. The net profit reached 3.48 trillion yuan, an increase of 24 percent over the previous year. Among the 500, 55 enterprises are engaged in property development. Regarding profitability, Industrial and Commercial Bank of China topped the list with 286 billion yuan in profit. Other banks, including Bank of China, Agricultural Bank of China, China Ping An and China Merchants, were ranked in the top 10. Tencent and Alibaba were also among the top 10 in profitability.